Lam Soon Cannery, the holding company of Lam Soon Singapore, has been awarded the National Arts Council’s Distinguished Patron of the Arts Award in recognition for its significant contribution towards the development of arts and culture of Singapore. 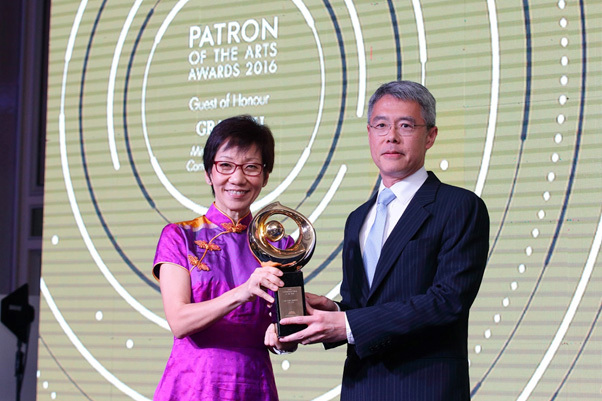 The award was presented by Grace Fu, Minister for Culture, Community and Youth, at an award ceremony held at the Shangri-La Hotel. The Distinguished Patron of the Arts Award is the highest honour accorded to an organisation. We are honoured to be part of this recognition that has helped the arts to grow and be accessible to all.